How does one even begin to extol the message of the glorious gospel? How do we even begin to comprehend the good news that has been given to us? How can we fully grasp the meaning of what God did for mankind? Sometimes I can’t. I believe it with all my heart but I do not understand it. The Bible says, “greater love hath no man than this, that a man lay down his life for his friends,” (John 15:13). That I get. I can truly understand giving your life for those you love. I would not hesitate to give my life for one of my children or my family. I would like to think that I would even give my life for my friends. But God did not just give His life for His friends. He gave His Son to the world. 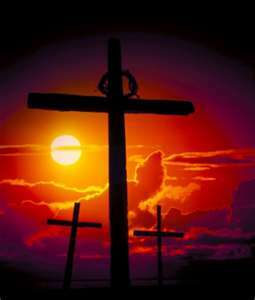 “For God so loved the world, that he gave his only begotten Son, (John 3:16a). Our Creator made us in His image, perfect and righteous. Yet, by one man sin entered the world and death came by sin, (Romans 5:12). We were ungodly, unrighteous, and enemies of God, deserving hell eternal. But God sent His beloved Son that, “whosoever believeth in him should not perish, but have everlasting life,” (John 3:16b). “For when we were yet without strength, in due time Christ died for the ungodly. For scarcely for a righteous man will one die: yet peradventure for a good man some would even dare to die. But God commendeth his love toward us, in that, while we were yet sinners, Christ died for us,” (Romans 5:6-8). Can you imagine sacrificing your only son, who you cherish and love, for those who do not care? Can you imagine allowing your child to die at the hands of the wicked? Can you imagine giving up an innocent child to save the undeserving? Last night, my family and I watched a 21st Century modern parable that gives us a small glimpse into what this sacrifice might look like. 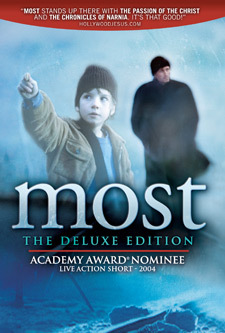 MOST – The Deluxe Edition DVD, beautifully illustrates the story of a father, his beloved son, and a great sacrifice that takes place at an open drawbridge. MOST, the Czech word for “The Bridge,” will stir your heart. It was most compelling and most intriguing! I am also pleased to offer MOST – The Deluxe Edition DVD to one of my readers. Just leave a comment and I will draw one name on Friday, February 25th. The DVD will be shipped directly to the winner. For additional entries you can subscribe to this blog or spread the word about this giveaway (blog, facebook, emails, etc) and leave separate comment for each. Also, be sure and check out the website and watch this heart wrenching trailer. Disclosure: I received MOST – The Deluxe Edition in exchange for an honest product review. I am disclosing this in accordance with the Federal Trade Commission’s 16 CFR, part 255. I agree with you very much. It is hard to comprehend a love given toward man kind, who does not deserve such a love. This is a very moving film! Our youth pastor shared it with the youth a couple of years ago. They were visibly moved. The Bible says, “greater love hath no man than this, that a man lay down his life for his friends,” (John 15:13. I have never heard of this movie. I would love to win. I would love to win this. I feel like I must’ve been living under a rock. I’ve never heard of it. You summed up how I feel when you said,”I believe it with all my heart, but I do not understand it.” He didn’t give His Son because we are all so good and deserving. He gave his life for our sin! I watched the trailer…WOW! That does give a small glimpse of what our Father God had to go through to save us from eternal death! Praise God for His amazing love! I have not heard of MOST and it sounds incredible, I would love to win. Happy to have subscribed to your blog. I really, really like your header, by the way. Amazing that the sun seems truly bright! I shared your entire blog post on my facebook page. I didn’t know I could do that – cool! I tweeted this. ~The other Terri from the crew. I have been a subscriber for a while. BTW I love your posts, they are very thought provoking and balanced. I’ve heard of this film and it sounds fascinating. The Gospel message never gets old.